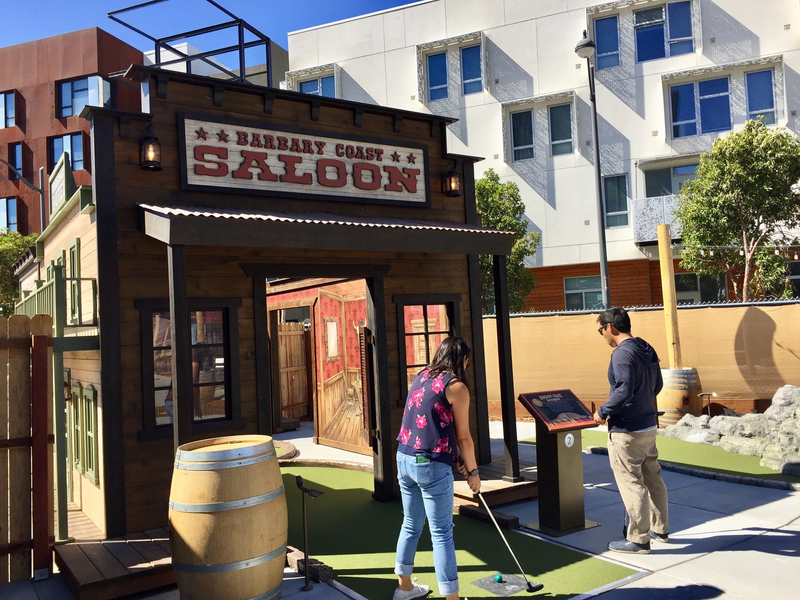 San Francisco's first outdoor mini-golf course, Stagecoach Greens, is now open at 1379 4th St. in Mission Bay. Stagecoach Greens is a collaboration between longtime Mission Bay residents/mini-golf fanatics Jan and Esther Stearns and Carlos Muela, who owns neighboring food truck park Spark Social (as well as the SoMa StrEat Food Park). The project got its start in 2017, when the Stearns were putting in motion plans to develop a mini-golf course of their own in Truckee. Then they got wind that Muela had a similar vision for a vacant lot in Mission Bay--one that their apartment overlooks. Sutro Tower and McCovey Cove were recreated for the course. The course features 18 holes that pay homage to San Francisco's past and present, largely through its various booms and busts. The Emigrant Trail and Dazzling Gold holes are a throwback to the Gold Rush era, while the Splash Hit and Sutro Fog holes highlight the city's contemporary charms. Parts of the course are inspired by the Summer of Love, while others nod to the tech boom. 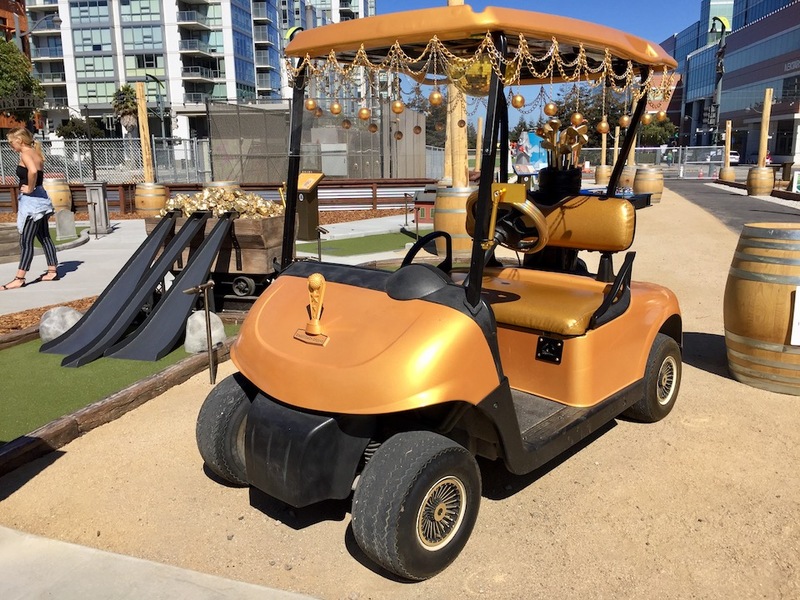 Brought to life by more than 150 designers, the space features several Instagram photo opportunities, like an "all-gold-everything" golf cart and a face-in-hole backdrop featuring two of the city's most prominent skyscrapers--the Transamerica Pyramid and Salesforce Tower. 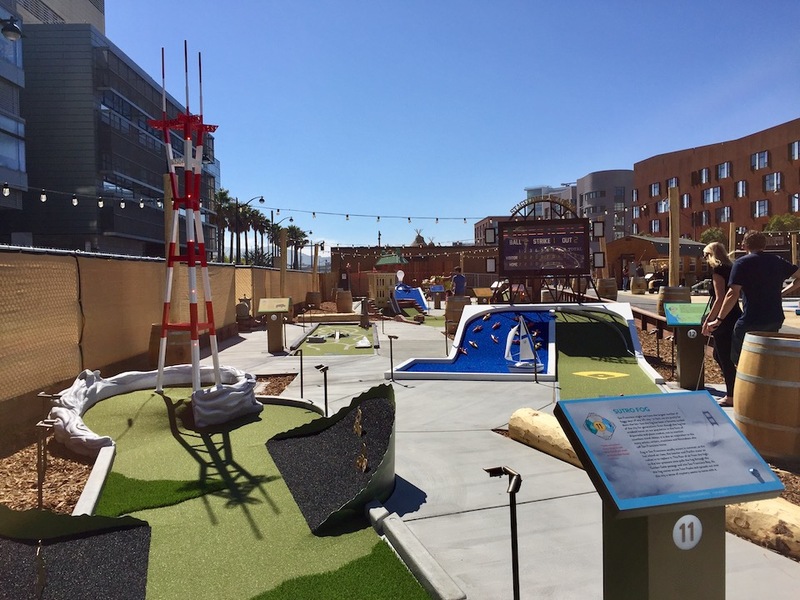 Muela told Hoodline that he wanted to develop a mini-golf course because "there aren't enough spaces in San Francisco that are both family-friendly and young adult-friendly." "There are a lot of activities that kids do, and their grandparents or parents just come to watch," said Rachel Rapaport, Stagecoach Greens' marketing lead. "With mini-golf, everyone can get involved." The golf course also features a beer garden, filled with benches and tipi cabanas. Opening at 5 p.m. daily, the bar will serve local brews, mimosas, and sangria. 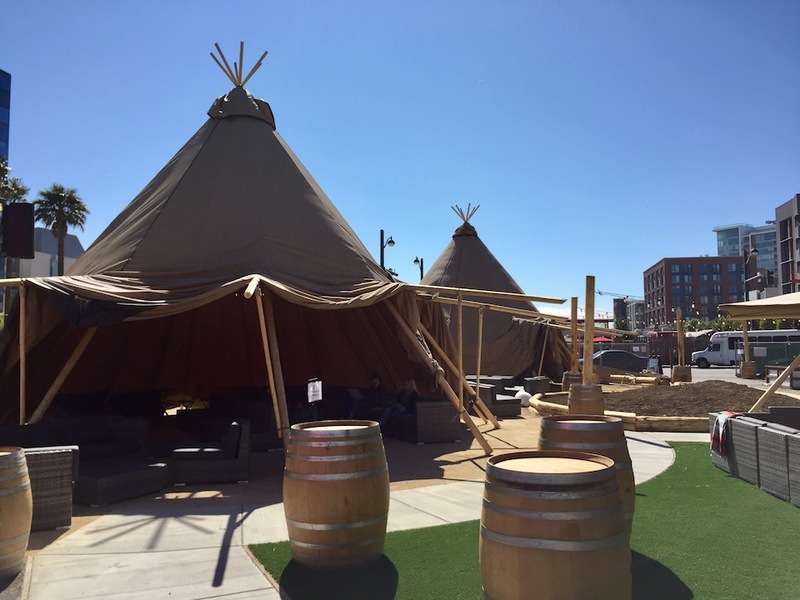 Tipi cabanas in the beer garden. Muela is using his connections to bring four food trucks to the space as well. Al Pastor Papi and Hookt Mini Donuts (opening at the end of the month) will be permanent fixtures, while two other trucks will rotate in. 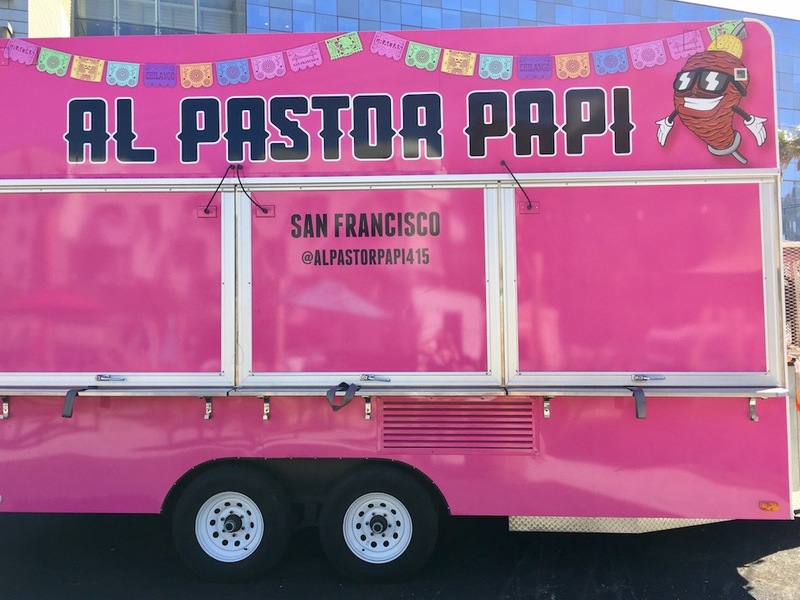 Al Pastor Papi food truck is a permanent resident of the space. Stagecoach Greens is open daily from 11 a.m. to 9 p.m. Admission is $16 for adults and $8 for children, and can be purchased online ahead of time or at the course. Guests who pre-purchase tickets online can select a tee time, allowing them to join a priority line upon arrival.